Squish Rabbit is finally in bookstores. 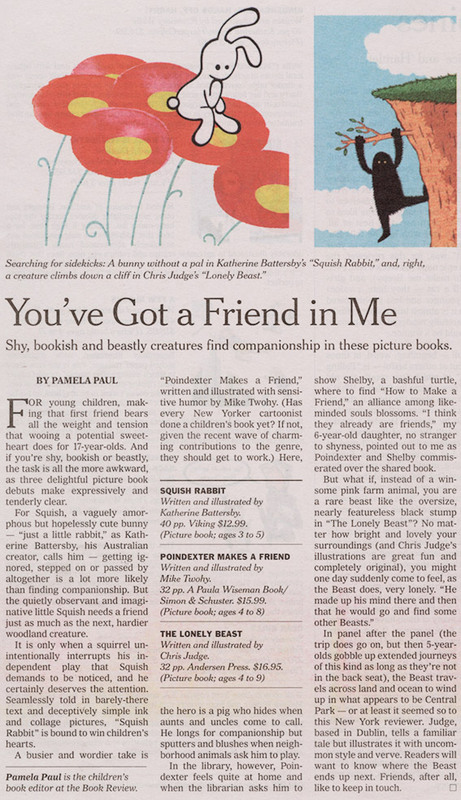 Battersby’s expert, ample distribution of white space provides room on each page for readers to luxuriate in her impressive, evocative ink, watercolor and collage illustrations — and to absorb a small rabbit’s feelings. Minimal, moving and adorable, little Squish makes a big impression. Publisher Weekly also had some encouraging things to say, as did a lovely mummy blogger over at Baby Centre. 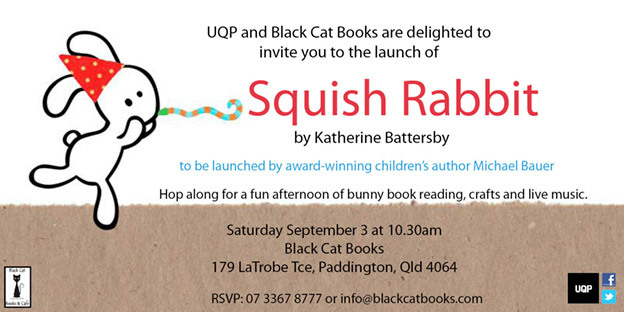 I’ve been busy organising the Brisbane book launch (Saturday 3rd September) with my wonderful Aussie publishers, UQP, and the amazing indie bookstore, Black Cat Books. All are welcome – kids and adults and anyone willing to go back down the rabbit hole. I’d love your company if you can make it. I’ll have the official invite up soon, and have a facebook page all about the launch that you can check out too. 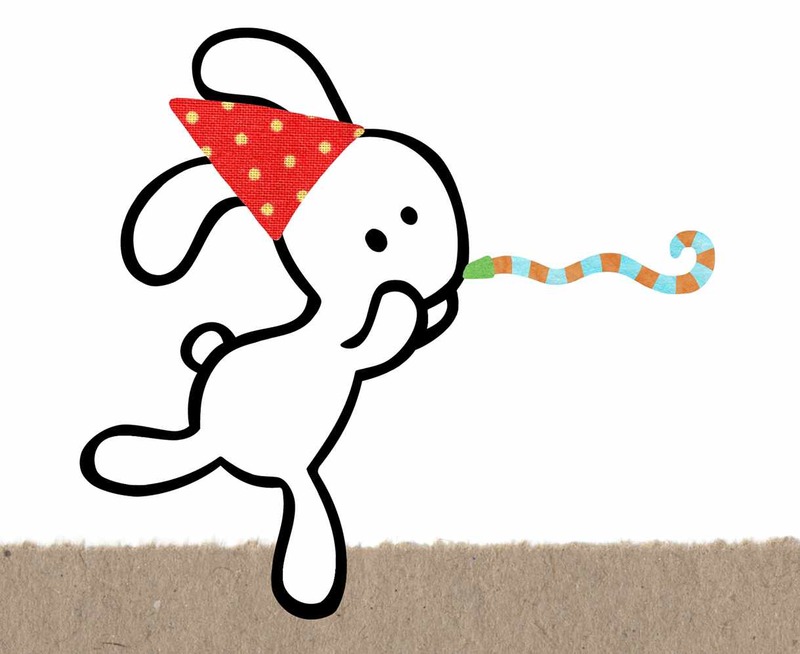 Now this little cotton tailed writer is off for a day of celebrations … welcome into the world Squish!